This page is dedicated to the movie version of one of the funniest British plays ever written. that "On Approval" was now available to be streamed in high definition. The easiest way to find it is to google: "On Approval BroadwayHD"
The one-time viewing option is $7.99. On Approval is set in 1927 and concerns Maria (pronounced with a long "i") Wislack, a spoiled, rich widow considering marriage to a kindly gentleman named Richard Halton, who has been secretly in love with her for 18 years. Cynical about love and extremely domineering, she decides to take him away to her estate in Scotland for a month On Approval. If he measures up to her expectations (platonically) she will marry him. If not she'll give him railway fair back to London. The idea of a lady suggesting such an experiment was considered risque enough in 1927 to be intriguing. The title On Approval is a side reference to the custom at the time of being able to take an appliance home for one month "on approval" to test it and at the end of that time purchase it if it lives up to your expectations or return it if not. In the context of the play it implies that Maria looks upon a husband as little more than a piece of furniture whose sole purpose is for her convenience. Also in the picture is the spoiled and recently impoverished George, Duke of Bristol, whose self conceit is equaled only by Maria's. He is loved by the young and wealthy Helen Hayle, whom he likes and sees as a possible way out of his financial problems. All four end up trapped in Maria's Scottish estate after her servants abandon her. The comedy derives from their discovering the reality about each of their true natures. This is a quiet gem of a comedy that steals into your heart and never leaves. There are no pratfalls or cheap laughs based on gross or crude humor. This is a play where Lonsdale's brilliant dialog, delivered by four great actors whose timing and delivery are perfect, flows over the watcher in a rich wash of sly comments that tickle your funny bone from the inside out. The ending is surprising, unexpected and hilarious. If you ever have the chance to see this version of On Approval, don't miss it or fail to make a copy of it. Please don't be put off by the play being written in 1926. The dialog is as sharp and witty now as ever and unlike many old plays, the subject matter and how it's dealt with still feels current. It's been staged four times over the 80 years since it first opened and each time it was a success. 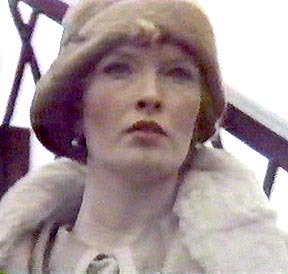 On Approval first aired on Monday night, June 21, 1982 on BBC-1 in Britain. It was episode number 113 of of popular Play of the Month television show that ran from 1965 to 1983. This show aired a total of 120 episodes. On Approval was directed by David Giles. Regrettably, the only version of On Approval available for sale is the lamentable 1943 movie starring Beatrice Lillie and Clive Brook. Please don't waste your money on this movie. Lillie plays Maria Wislack with such a one-note expression that it seems her face is carved of stone, except for a few outbursts than make her appear maniacal. Clive Brook is far too old looking for the part of George and plays it with so little emotion that instead of appearing to be imperturbable he seems comatose. The ending was changed, oddly enough by Lonsdale himself, and is terribly unsatisfying. It would be better to not see this version than never see the play at all... and this from someone who is a fan of the play. I am fortunate to have a printed copy of the original play as written by Frederick Lonsdale. It was published by the Samuel French publishing house of London, New York, Toronto, Sydney and Hollywood. There used to be a copy in the South Pasadena library in Southern California, USA. The version with Penelope Keith is very close to the original. I've received emails from people asking me how to tell if their copy of On Approval is the uncut or cut version. The uncut version opens with an introduction by Alistair Cook with him seated at a piano in a room with a window behind him framed in green drapes. Snow can be seen falling outside. In the cut version he's seated at a piano on a huge sheet of paper with the words "Masterpiece Theater" written across it. If your copy doesn't have the introduction, then go to the opening of Act 2. In the uncut version the first scene has Maria and Richard walking down the stairs of the Scotland train station and getting into her car. In the cut version the act opens with them already in the car and driving through the country to her estate. Since posting this page I've received emails from several people who are also fans of this play. With their permission I'm posting their first names and email addresses here so that other fans visiting this page know they are not alone. Note: I've added a "x" to the front of each email address so that spam spiders crawling this page can't access them. If you wish to contact someone on this list you'll have to delete the x before copying the address into the address line of your email system. Lynn xVandebergL2@att.net (Has a DVD made from a VHS recording of the cut version.) Welcome to the group, Lynn! Steffanie Jean: Has copies of both the cut and uncut (!) versions. She has also very kindly provided infromation on several cut scenes that I had missed. These descriptions, along with a URL to her YouTube page so you can view these scenes, are listed further down this page. Thanks, Steffanie!!! Be sure to click on the gear icon in the lower right of your screen to increase the resolution from 360 to 480. And by all means, please let gypsycyn know that you appreciate her work getting these posted! Since most people who've seen On Approval or are fortunate enough to have a copy of it have only watched the cut version, I thought they'd enjoy knowing what scenes were removed. In total, six scenes were cut, one of which is very touching and it's absence significantly detracts from the play. 1. The first cut takes place fifteen minutes into the first act. George and Helen have just walked out into the garden and Richard is standing by the piano. The camera goes to Maria as she asks, "Don't you wish to hear the birds sing their simple songs of love?" Richard responds with, "I think he was exaggerating." In the cut version the scene jumps to Maria asking him to tell her some of the lofty thoughts that made George wish to walk on grass. In the original version, After Richard states he thinks George was exaggerating about the birds singing, Maria then comments that she thinks George must be drunk or he'd never have been nice to her. Richard assures her that such wasn't the case. She responds with something to the effect that perhaps he wants to borrow money from her because she knows he hates her. Richard says he (George) said only nice things about her while she was gone. "Like what?" Maria asks. Richard answers, "He said you had a heart of gold." She says that proves he hates her (I suppose her interpretation being that gold is hard and cold.) This 20 to 30 second exchange was removed. The next thing Maria says is to ask Richard about the lofty thoughts that made George wish to walk on grass. 2. The next scene that was cut was Richard and Maria's arrival at the train station in Scotland. They walk down outside stairs from the elevated arrival platform, get into her convertible, yellow Rolls Royce and drive through the country to her house. Bagpipes play in the background during this scene. 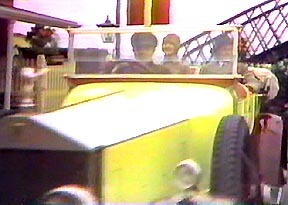 The cut version doesn't show the station arrival and only has one quick scene of them in the car as Maria points out the house in the distance. From there is jumps directly to the car driving up the lane to the front of the house. The removed scenes are about 1 minute in length. Maria and Richard walking down the train station stairs. Maria and Richard driving out of the station. 3. The third cut is so short I have to wonder why the editors bothered. It takes place shortly after Maria and Richard arrive at her country house. They walk out the front door and she points out the extent of her land. The cut version only shows them walking out of the house. I doubt if the entire scene that was removed was more than 10 seconds in length. 4. 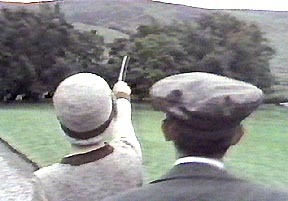 The original version next shows Maria and Richard in brief fishing and shooting scenes. The fishing scene was cut. 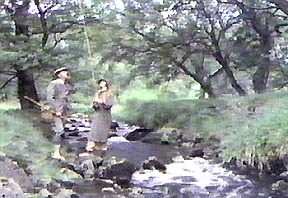 In it Maria is clumsily swinging her rod toward a stream with the hook apparently whipping all over the place as she's lecturing Richard to be careful because hooks can be dangerous. It's like it's his responsibility to avoid getting hooked, not her's to be watchful of her own hook. The removed bit was 10 seconds long at most. It serves as an illustration of her self centeredness. Since the following scene with her shooting does the same thing, taking the fishing scene out didn't really diminish the play... though I begrudge every second that was removed. 5. 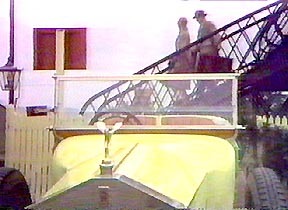 Next, a brief scene showing Helen arriving at the train station was removed. In the original she's walking down the outside stairs from the platform and has a rather perturbed look on her face, I assume because there was no one there to meet her. This 10-second long bit was removed and jumps to her driving up to the house in a pony cart. 6. The last scene that was cut was the longest and most touching. It focuses on a brief conversation between Helen and Richard which is very poignant and I think its removal is a real loss. Richard and George have been smoking cigars and both drift off to sleep. Maria enters and startles them by playing the phonograph at maximum volume. Half unconscious, Richard utters a loud complaint. Maria chastises him for it. After she stalks out Richard says to George, "That, I think, has finally put the lid on it," meaning that he believes this last transgression is sure to make Maria send him packing. In the cut version the next thing that happens is that Helen has appeared out of nowhere and is asking George if he is ready for the walk he invited her on earlier. In the uncut version, after Richard makes his "lid on it" statement, he asks George what he thinks he should do. George says he never gets involved in an inquisition. Richard laments that he's never seen Maria like this and that he always thought she liked him. He says that he just gets on the poor dear's nerves, more's the pity. George rebukes him explaining that she's always been like this. Richard refuses to believe him. At this point Helen walks in and asks what's wrong. Richard explains and she asks if Maria was hurt or mad, with a look on her face that says she knew what the truth was and what Richard's compassionate answer would be. She then walks out into the hallway. Richard follows. At this point Helen gently but firmly recommends he tell Maria to go to hell, "H...E...double-L," she spells out. Richard starts to say that she doesn't understand. She leans close and tells him that she does. The way she says it expresses volumes because she's letting him know she's been through the same thing with George. This cut scene was two minutes long. 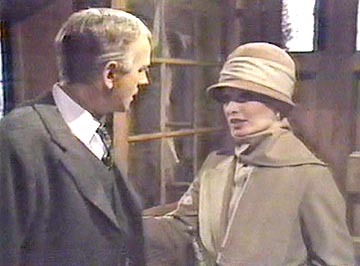 After Helen and Richard's exchange in the hallway, she re-enters the room and asks George if he's ready for their walk. All totaled I'd estimate only four minutes was cut from the play. At the time PBS was still commercial-free so trimming the play to earn money wasn't an issue. I can only assume that they did it because they may have been soliciting public support and needed the time to do so. It would seem they were being hypocritical by selecting this as one of the best shows ever aired and showing it again to demonstrate the outstanding quality of their product, yet at the same time cutting it up. NEW!!! Steffanie Jean sent me the following two descriptions of scenes cut out of the original play. She estimates that all totaled there were no less than 12 bits cut from this masterpiece. She maintains a YouTube page featuring entire uncut version of On Approval. I heartly recommend everyone to visit her page at: http://youtube.com/user/steffsstuff/videos. You'll need to look for it because Steffanie has many videos on her page, many of which, like Sweet Sixteen and Grace are outstanding. 7. At Maria's lodge in Scotland, right before Maria tells Richard that she has had a telegram saying the new servants are not coming, there is an exchange between Richard and George regarding Helen's refusal to marry George. Then Maria enters the room and tells George that his conduct had been unacceptable and George leaves the room ~ after telling Maria that he is going to write her a letter. 8. The next cut takes place after Helen arrives at Maria's house in Scotland. She is dressed in the servant's apron and hat. The scene opens with Maria in the kitchen with Helen, asking why George hasn't come back for lunch as Helen had asked him to. This scene explains how George managed to become a house guest, because Maria says that Helen asked her to let him stay. Helen also tells Maria how happy she is to have been there with him for 3 weeks ~ and it is only then that she gives Maria the present of the brooch. In all the scene lasts about a minute and 10 seconds. I've spotted four errors in the play as filmed. I believe two were mistakes Jeremy Brett made and the director decided to let them slide. The first occurs 10 minutes into the first scene. George and Helen are talking about marriage and he makes the comment that the husbands of three of the women he's known have threatened him with it. As he's saying this he holds up what appears to be four fingers. The second takes place a few minutes later after Richard has confessed to George that he loves Maria but one of the reasons he hasn't told her is that she earns 25,000 pounds a year to his paltry 300. Recommending himself to her may have made him appear mercenary. To this George says something to the effect that her having 15,000 a year is the reason Richard should love her. Since the original written copy of the play has George saying, "25,000" then I assume the mistake was Mr. Brett's. There is one tiny blooper that you have to have a good copy and sharp eyes to spot. Regrettably, I can't recall where it is. At one point during the filming someone was walking around behind the cameras and the reflection of his movement can be seen on a doorknob on a wall behind the actors. Finally, while Maria is explaining the proposed living arrangements to Richard at her country house, she says that every night he'll walk one mile to the hotel. Later, Helen makes the comment that the hill is 3-miles long. It could be that the hotel is closer to the house than the town, but in the country that sounds unlikely. Additionally, if the hotel was only 1 mile away then why didn't Maria and George simply bundle up and walk to it after being stranded by Helen and Richard instead of letting themselves get snowed in? When Helen and Richard left the road was still open enough for the car so it would certainly be open enough for someone on foot. I've checked the written screenplay and the 1-mile versus 3-mile problem is in it as well. Richard comments that Maria's income is 25,000 pounds per year in 1927. Correcting for the exchange rate in that year as well as inflation between then and now means that Maria would have had an annual income of $1.3 million per year... not too bad. Assuming this was from conservative investments earning 5-percent, this would place her total worth today at $27 million. However, more has changed over the decades than just exchange and inflation rates. In fact, one could live comfortably for much less than these two indexes alone suggest. My estimate (Please see VICTORIAN DOMESTIC SERVANT HIERARCHY AND WAGES for a complete explanation) is that earnings back then have to be increased by a factor of two to make them consistent with modern values. This bumps her annual income up to almost three million and her total worth to $54 million. How much money did the others have? Poor Richard isn't even close to Maria's class. His 300 pounds a year translates to around $65,000 a year... one would hope after taxes. This equates to his having $1.3 million in conservative investments. This sounds like a lot but remember that as a gentleman he couldn't work so he has to live on this for the rest of his life. Yes, he could provide for Maria but they would have had a very tight time of it. It's fortunate she's willing to do the supporting. George mentions that he thought Richard had at least 1,500 pounds a year, equivalent to $325,000 a year from over $6 million in investments. Richard comments that this used to be true, before he invested in several horses without ambition. Clearly, Richard has not managed his savings very well. While no specific mention is made about Helen's wealth, Maria at one point mentions that she's one of the richest women in England. From this we can guess at some scale. The royal family would have been worth 100s of millions back then and counted as one of the richest families in the world. Helen would be below them. Maria's comments suggests that Helen is somewhat above her lofty position of $54 million. This brackets a possible value somewhere around $100 million. And if that's not enough... she's cute too. What more could a man want? As for poor old George, the 12th Duke of Bristol, several comments state that he is completely bankrupt and may in fact be deeply in debt, though no indication is given as to by how much. It would seem Richard is actually better off than him, though obviously not in social position. Very early in Act I, Maria comments that Helen is 22 years old. Maria's age is either 40 or 41. At one point George says that she's the same age as his step mother who will soon be 41, making Maria only 40. Yet later he says she's 41. (Perhaps she's so close to it he rounded up.) The screen play as written clears this up. Act I takes place in early August. George's stepmother is going to be 41 in August and Maria was born on the same day. So, Maria's 40 in Act I but 41 three weeks later by the time Act III has started. Richard's age is more nebulous. At one point he states that he's one year younger than Maria, making him 39 or forty. At another he definitely states that he is 40. But, in Act III after Richard blows Helen a kiss to tease Maria and George (In the stage play, not the televised version), Maria tells him not to act foolishly because he's old enough to be Helen's father. Richard retorts that to be so he would have been a precocious lad of 15. Adding fifteen years on to Helen's 22 makes him only 37, potentially as much as 4 years younger than Maria. Of George's age we have only the slightest clues. By appearance and the fact that he's a friend of the older Richard strongly suggests that he's older than Helen. Early in Act I Maria comments that she took him on her knee when he was a child. Assuming that a male child much older than 8 probably wouldn't allow himself to be taken on a girl's knee and that the girl would have to at least be in her early teens to do so suggests his age being 5 to 7 years younger than her, or 33 to 36, depending also on the age assigned to Maria. In Act III Maria refers to him as "that young man" while talking to Richard, indicating that he's younger than her and likely younger than him. A reasonable range would be somewhere between 28 and 32. Adding all these estimates puts the range at somewhere between 28 and 36. In ACT III, Helen finally explodes at George when he implies she enjoyed acting as his servant. She says that he is the living puerility of taking a wise man out of the world without a title while bringing a stupid one into the world with one. Puerility isn't a word one hears very often today. According to Webster it means "childish" or "juvenile." The context in which it was used in the play suggests a definition closer to "injustice." Again in Act III, when Maria and George are getting ready to fake his illness to get Helen and Richard to stay, George says that to prove Maria is capable of kindness that she should bring George some "Bengers" on a plate. (On screen, Mr. Brett's pronunciation of Bengers sounds more like bengies.) Internet searches turned up two descriptions for this term. The first and most likely is that is was a candy similar to white chocolate but not as sweet. The second is that it was a powdered flavoring for mixing into hot milk. The first is more consistent with the context. Another pronunciation issue presents itself much earlier at the end of Act I. Richard has just described Maria's plan to take him away "on approval" to which George says it sounds rather "harsh." The "r" and "sh" sounds are quite clear. Depending on the quality of the recording it may also sound a like "horse." The screen play as originally written has him saying "hot." Whether Mr. Brett mispronounced it, ad-libbed it or the teleplay was rewritten is impossible to tell. To my ear "hot" would have more accurately captured the implication of sexual impropriety to which George was alluding than "harsh." In Act II, Richard has to walk three miles into town to get food for that night's dinner. This suggests that there wasn't much food stored in the pantry. If so, then when Helen and Richard desert Maria and George for three weeks trapped by the snow, what are poor Maria and George going to eat? One could assume that the pantry is well stocked with canned goods and Richard's trip to the town was for fresh things like meat. The televised play said nothing about the time of year it took place. In the screenplay it states that the scene in Helen's house is in August and the one at Maria's Scottish estate is three weeks later in September. In Act I Helen comments that the Leggets prefer to read about George in the Tatler or the Sketch. Internet searches indicate that these were both tabloid-type periodicals. In reading the screen play I came away with the impression that it was slightly harsher than the televised version. There are references to Richard popping into Maria's bed, illegitimate children, flatulence, guns and several more damns that create a coarser atmosphere. Additionally, Maria is a little meaner. In one scene Maria wakens Richard by playing the phonograph. 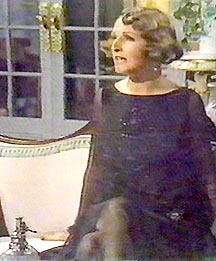 In the televised version she comes into the room carrying the albums, suggesting that playing the gramophone was her intention. In the screen play she only decides to do so after electing not to wake him more gently. It's clear she wants to upset him. There were several inconsistencies in how long Maria had been married to her first husband and how long Richard had been in love with her. At one point she says she was married 19 years, in another it's 18. Richard says he's been in love with her for 20, 18, and 15 years at different points in the play. The screen play has approximately 10-percent more dialog in it. Although one or two sections provide some clarification about other scenes or motives, for the most part I'd have to say the uncut televised version is better than the original play. Although Helen's last name is spelled "Hale" in every modern cast list I've found, it was spelled "Hayle" in the original screen play. During a recent Internet search I discovered that the 1943 movie version was not the first time this play had been released as a feature film. A 1930 version was released in Britain starring Tom Walls as George, Yvonne Arnaud as Maria, Winifred Shotter as Helen and Edmund Breon as Richard. I have not been able to locate copies of this film. Finally, while reading the play I noticed that Helen refers to Richard with many more "darlings" and "dears" than in the teleplay, both directly to him and when referring to him while talking to others. She also repeatedly describes him as one of the sweetest men she's ever known. It gives the reader the impression Lonsdale was thinking about having Helen and Richard eventually fall in love, which is the ending he wrote for the 1943 movie. This could be a believable and comically ironic ending. Unfortunately in the movie it was written very lamely and didn't have any of the interesting and poignant scenes this situation would have made possible. We all need to applaud those individuals in the email list earlier on this page who make it possible for people all over the world to obtain copies of this gem of a play. While their considerable efforts are appreciated, it has to be acknowledged that the DVDs they make are copies of VHS tapes recorded off broadcast television two decades ago and as such suffer unavoidable losses in resolution. The only way any of us will ever see this outstanding production with the image quality to show it in all its glory is if we work together to convince a video company to resurrect the original recording and make a high quality DVD of it. In both cases it would be a good idea to mention that the 1944 version featuring Beatrice Lillie is grossly outdated in style and that the 1981 version with Penelope Keith is much more contemporary. Also, the large and active following of Penelope Keith and Jeremy Brett would make this newer version a more certain success. To all who write them, thank you for supporting this effort. I contacted the BBC UK about paying to have them make a DVD copy of it for me but they stated that they don't do that. I then contacted BBC Los Angeles, one of their four major facilities, and they said they could do it. The cost was $400 but after searching for so long I decided to order one. The quality is very good, clearly better than the best VHS recording taken off broadcast television. The lace and beading on the front of Maria's dress is clear and sharp in the opening scene and there is no graininess evident even in high contrast areas. The timecode bar makes this copy of On Approval completely unwatchable. To say it was disappointing is an extreme understatement. I assume such copies are used for editing or timing the placement of commercial breaks. I contacted BBC UK directly to see if it was possible to license the rights to the master recording. The BBC explained that while it is possible to do so, it would require licensing lawyers to negotiate with the BBC as the owner of the play, all the actors in it, as well as the producers, writers and directors, for royalty distributions. Such an undertaking is only possible for an established company like Acorn Media who already have the mechanisms in place for doing it. LONSDALE, Frederick [LEONARD, Lionel Frederick] (born 5 February 1881 on the Isle of Jersey; died London, 4 April 1954). Variously a private soldier, an employee of the London and South Western Railway and a winning layabout, the young Lonsdale struggled for a number of years to make a career as a playwright until his wife, who had taken a job as a chorus girl for William Greet, got his work read by her employer. Greet sent it to fellow producer Frank Curzon, who put Lonsdale on a retainer and produced his first work: the musical play King of Cadonia, which he had set to music by none other than the composer of The Geisha, Sidney Jones, and the doyen of lyricists, Adrian Ross. It was, however, Lonsdale's very much more substantial than usual dialogue for the show's Ruritanian comic opera plot which both won King of Cadonia fine notices and helped the musical to a long career. After a couple of indifferent runs with straight plays, he turned out a second successful musical for Curzon. The Balkan Princess was basically little more than King of Cadonia with the sexes reversed, but it, too, had a good London run and a remarkably long and wide provincial and export life. After a five year hiatus, Lonsdale re-appeared on the London musical stage under the patronage of George Edwardes with the libretto for a third successful musical, Betty, at Daly's Theatre. The Maid of the Mountains was Lonsdale's next great success and became one of the phenomena of the wartime London theatre, compiling one of the longest runs in the history of the musical theatre and establishing itself as a classic of the British musical stage. As Lonsdale moved on towards a career which would establish him as one of London's favorite writers of classy comedy, he did not abandon the musical stage. He adapted Booth Tarkington's Monsieur Beaucaire as a highly successful light opera for André Messager, he made the English versions for the enormously popular British productions of Jean Gilbert's Die Frau im Hermelin (The Lady of the Rose) and Katja, die Tänzerin and for Leo Fall's Madame Pompadour, but he wrote only two more original libretti. His Parisian tale of The Street Singer, commissioned by and devised for Phyllis Dare and with lyrics by his Jersey compatriot Ivy St Helier, told another conventional operetta tale in a manner that ensured it a more than conventional success. Lonsdale continued writing successful plays and after two decades was acknowledged as one of the great playwrights of the Engish theater. Remembered today principally for the four or five comedy hits of his career (On Approval, The Last of Mrs Cheney etc), Lonsdale, nevertheless, had considerably more, and more lucrative, successes in the musical theatre. He wrote the text for one of the greatest hits of the London musical stage in The Maid of the Mountains, and, if his other musicals are no longer played in Britain, Monsieur Beaucaire has remained in the repertoire in France for the 70 years since its original production. 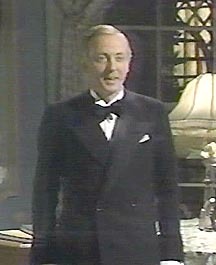 In his opening remarks for the PBS airing of On Approval, Alister Cooke stated the Lonsdale was the type of social climber, more often women than men, who was able to absorb the speech and mannerisms of the upper classes and incorporate them into both his plays and his everyday behavior. Mr. Cooke also claimed that in terms of the number of successful plays Lonsdale wrote and the number of people they delighted he was arguably the most successful playwright in English history. On Approval would be a great play for a high school or college production and can easily be rewritten so that only four actors are required. I sincerely hope you've enjoyed this page as much as I have putting it together.